GeIL's new EpicGear gaming brand showed off Meduza, world's first mouse with "hybrid dual sensor technology" (HDST). Pricing and availability is unknown, but the launch should occur pretty soon. This mouse features what EpicGear is calling the world's first "HDST" and that stands for hybrid dual sensor technology. As you'll see in the pictures, on the back surface of the mouse where you usually see either a laser or optical sensor for tracking, EpicGear include both a laser sensor and an optical sensor. 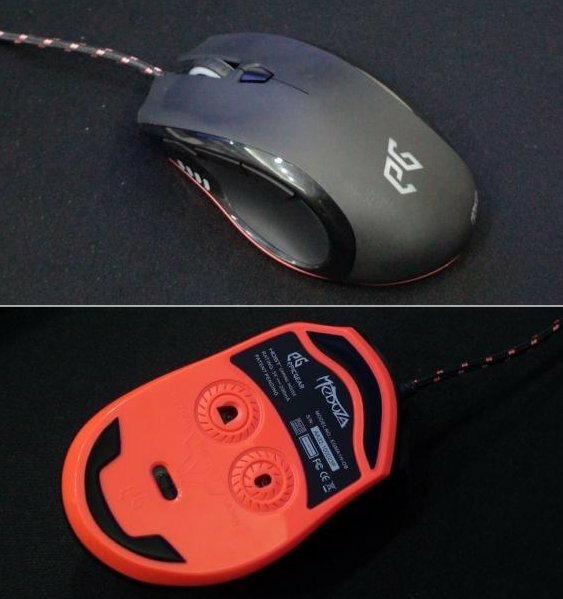 EpicGear says that super fast laser sensor with speeds up to 6000 DPI and the stable optical precision with jitter-free operation leads to an overall much better feel and use than traditional mice.